The latest round of sanctions is Washington’s latest efforts to increase pressure on the Maduro regime, which refuses to cede power to the legitimate President Juan Guaidó, appointed by the Venezuelan National Assembly as interim leader this month in an attempt to bring an end to the Maduro dictatorship. Countries around the world have since recognized his legitimacy, including the United States, the European Union, and a majority of Latin America. 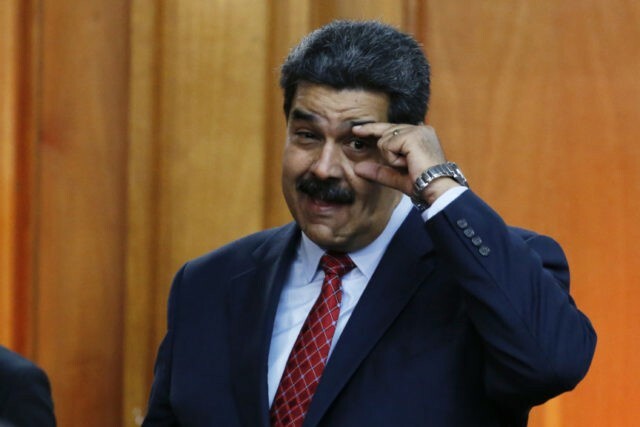 Over the past two years, the Treasury Department has imposed multiple sanctions on the Venezuelan economy and senior regime officials, although they have so far proved ineffective in achieving their ultimate goal of comprehensive regime change. The Trump administration maintains that “all options are on the table,” raising speculation that they may eventually employ a military solution to bring an end to Latin America’s most pressing economic, political, and humanitarian crisis.